A man who helped orchestrate car accidents to cheat insurance companies of more than $300,000 in sham property damage and injury claims was sentenced to nine years’ jail on Monday (18 June). 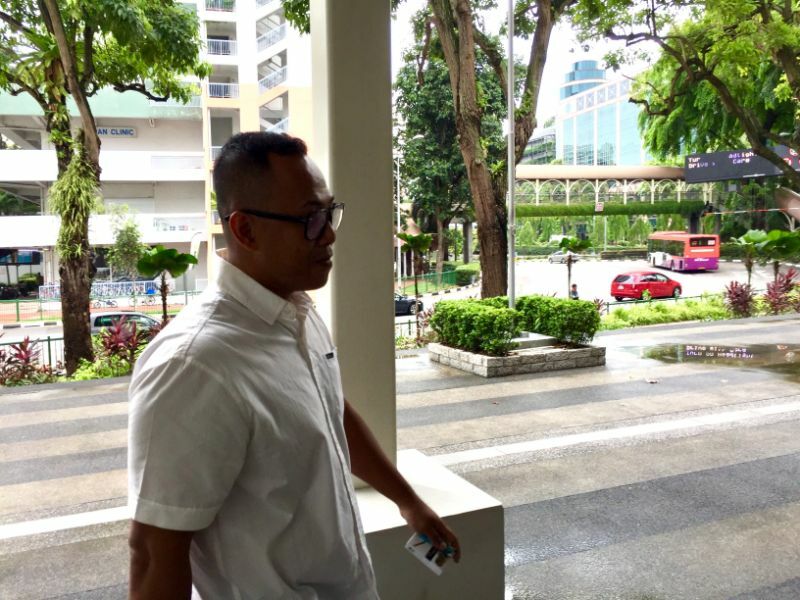 Sollihin Anhar, a 42-year-old Singaporean, a former car workshop worker, faced a whooping 203 charges related to staging car accidents between 2009 and 2013. Of these charges, he was convicted on 18, which he contested last year and was found guilty after a 10-day trial on 30 March this year. He pleaded guilty on 19 March this year to another 37 counts. He was first charged on 4 June 2014. The charges include engaging in a conspiracy to cheat, instigating involved parties to give false information to the police, and attempting to pervert the course of justice. Another 148 charges were considered for his sentence. In its submissions to the State Courts, the prosecution described Sollihin was the mastermind of a “well-organised and sophisticated syndicate” who played multiple roles, which were “pivotal” to the scams carried out. He was the main operator of E-Motor, a motor workshop registered under his wife’s name, where he received a number of customers who provided their vehicles for the purposes of staged accidents. Sollihin also helped plan the accidents and recruited other phantom drivers. To commit the deeds, Sollihin roped in 37-year-old Rahmat Mohd, whom prosecutors described as his right-hand man, to carry out his instructions in respect of the staged accidents. The two first knew each other in 2004 when both were technicians. Rahmat was jailed for 74 months for his role in the syndicate in March 2016. As part of his modus operandi, Sollihin would borrow the cars of clients who approached his workshop or Master Motors, an associate of E-Motors, for use in the staged accidents. He would offer these clients free repair works in exchange for the cars. After a client agreed, Sollihin would instruct Rahmat to collect each car to engineer an accident. He would then ask clients to lodge claims with their insurance companies after the accidents. The 13 insurance companies affected include Aviva Limited, AXA Insurance Singapore, First Capital Insurance, HSBC Insurance (Singapore), Liberty Insurance, and MSIG Insurance (Singapore), Tokio Marine Insurance Singapore and NTUC Income Insurance Co-operative, among others. In some cases, after Sollihin was charged in court, he would ask clients to lie to the police as he intended to “fight the case”. According to prosecutors, of the 18 charges he was convicted for, Sollihin abetted the submission of 11 fraudulent property damage and personal injury claims amounting to $85,436.35. While only one of the claims was paid out, a total of $24,401.35 was borne by insurance firm SHC Insurance alone. For the other accidents, he helped the submission of 141 fraudulent claims amounting to $1,574,265.45. Of these, 32 claims worth $295,342.50 were paid out. The prosecution sought for a jail term of at least nine years for Sollihin. Citing various media reports in its sentencing submissions, the prosecution said inflated and fraudulent claims from motor vehicle accidents have been rising in recent years and they were hard to assess. Consequently, such claims have contributed to a rise in motor insurance premiums and motorists ultimately bear the higher costs, the prosecution added. Sollihin’s lawyer Kalidass Murugaiyan, however, sought to pin the blame on another mastermind, who has yet to be apprehended. Sollihin became acquainted with the mastermind sometime after he began working in the motor repair industry and the mastermind told him how to go about committing the offences, said the lawyer. It was also the mastermind who profited while Sollihin did not “profit substantially”. The lawyer added that Rahmat was “well aware” of the fact that his client was not the puppeteer who controlled all the events, and that Rahmat sought to pin the blame on Sollihin to protect the identity of actual players in the background. Kalidass said that his client has since provided “invaluable information” about the actual mastermind. “Suffice to say, the name and contact number of the mastermind have been furnished to the police by (Sollihin),” he said. In mitigation, the lawyer said that Sollihin and his family members – his wife and five children aged between two months and 15 years old – are facing financial difficulties. Sollihin is the sole breadwinner of the family, which would be left without financial and emotional support with his absence, the lawyer said. Kalidass asked for no more than six years’ jail for his client. So far 88 members of the syndicate, including phantom drivers and phantom passengers, have been dealt with by the Court, and more will be dealt with.